The top 10 most downloaded movies on BitTorrent are in again. 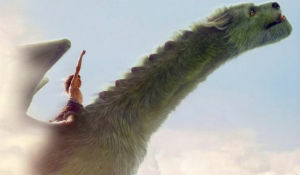 'Pete's Dragon' tops the chart this week, followed by ‘Jason Bourne'. 'Snowden' completes the top three. This week we have two newcomers in our chart. War Dogs is the most downloaded movie. The data for our weekly download chart is estimated by TorrentFreak, and is for informational and educational reference only. All the movies in the list are Web-DL/Webrip/HDRip/BDrip/DVDrip unless stated otherwise. RSS feed for the weekly movie download chart.